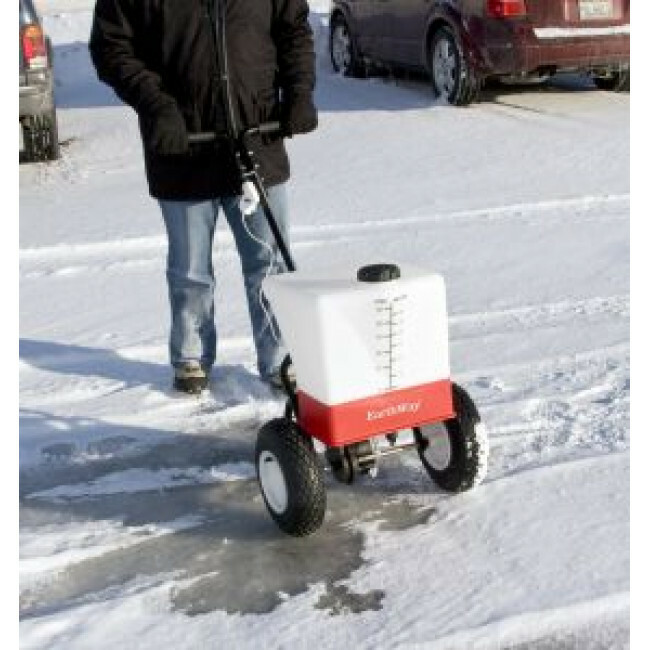 The S25 Spray-PRO Mark III is designed to take the work out of spraying your lawn, sidewalk, driveways, paths, and gardens in spring, summer, fall, and for winter ice control. With a spray width of 2 - 5 feet (0.6 - 1.5meters), and up to a 11,600 sq.ft. 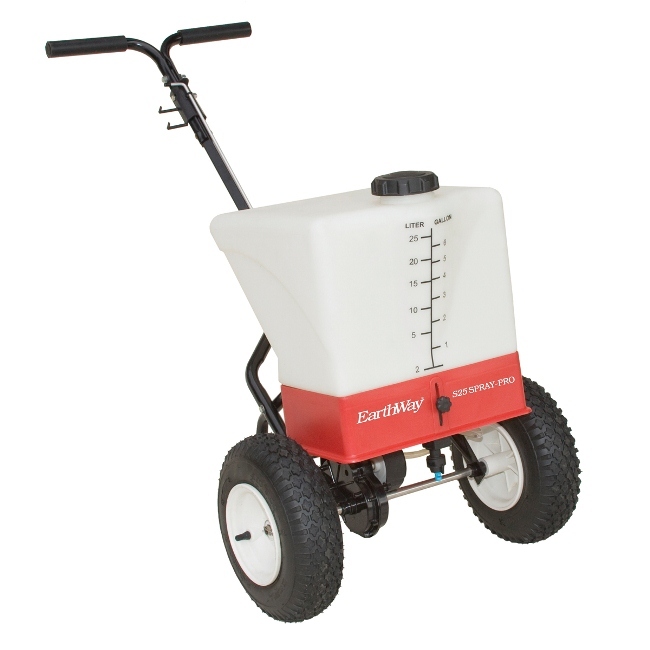 coverage, the S25 will make quick work when spraying liquid ice control, fertilizers and more. The adjustable height nozzle will reduce the spray width for narrow banding operations. The 2-mode valves allows for either Transport or Spray operation. Whilst in Transport mode the pump continues to operate, and whilst in spray operation, hard-to-reach spots are easily reached. Also included with this liquid sprayer are x3 different nozzle tips - fine, medium and coarse. Having a 25 litre capacity and self-agitating tank, this liquid sprayer does multiple jobs in one.